"Shell Shocked," the story of last year's epic cold-stunned turtle season, airs nationally on Sea Rescue this Saturday, January 16. See it locally at 10 a.m. on WCVB Channel 5. The New England Aquarium and Mass Audubon are featured in Saturday's (January 16) episode of Sea Rescue™. This special broadcast is Sea Rescue’s 100th original episode and relives the record-breaking turtle cold-stunning event in Massachusetts from November 2014 to January 2015. 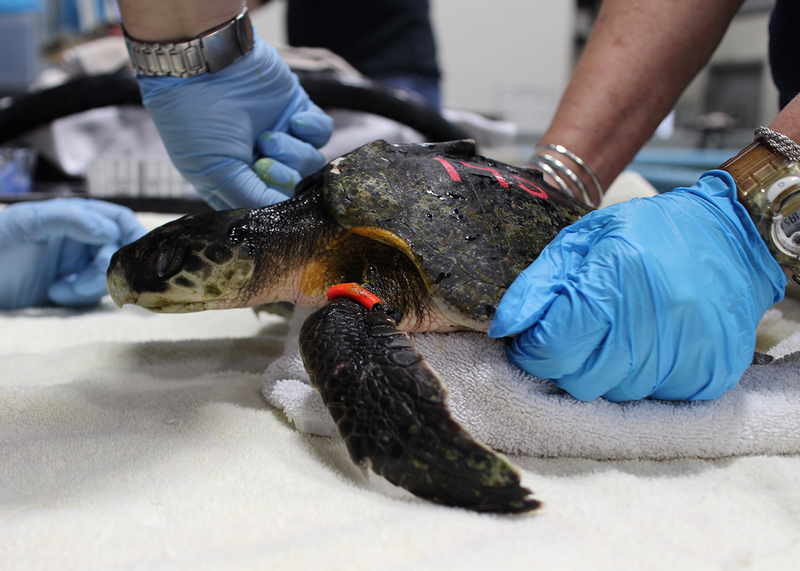 Hundreds of turtles were flown south for rehabilitation. Rescued turtles start their journey to recovery. 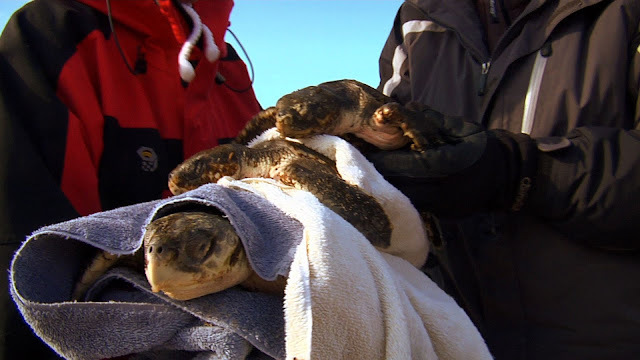 A clip from Sea Rescue's 100th episode called "Shell Shocked," airing Saturday at 10 a.m.
Every year a number of turtles strand on the coast of New England because of frigid water temperatures, but no one expected the 2014 – 2015 season would shatter all previous records. Residents of Cape Cod began seeing high numbers of cold stunned Kemp’s ridley turtles, and every day for six weeks teams from Mass Audubon’s Wellfleet Bay Wildlife Sanctuary combed the beaches in heavy, freezing winds. The numbers soon became overwhelming; on one day alone Mass Audubon rescued a staggering 148 cold stun turtles and within weeks over 1,000 turtles and every square inch of floor space was taken up with new patients. Animal Care Center in Quincy. The Mass Audubon “first responders” transported sick turtles to our Animal Care Center in Quincy, Mass., for acute care, involving slowly rewarming the turtles over several days and treating them with antibiotic and antifungal to boast immune systems and fend off infection. They were also treated for dehydration, malnutrition, metabolic problems, infections, and any injuries. Once the patients were stabilized, the National Oceanic and Atmospheric Administration (NOAA) coordinated moving hundreds of turtles to 21 facilities around the country for long term rehab. 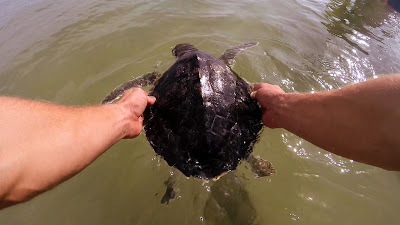 Working with the United States Coast Guard and Florida Fish and Wildlife (FWC), the turtles found temporary homes throughout the East and Gulf Coasts, and as far away as Texas. Long term rehab included keeping them in clean, warm water and continuing medications until the turtles slowly began to respond to treatment. All totaled over 730 turtles were recovered, rehabilitated, and began their second chance at life, seven times the average number treated. after last year's epic rescues.